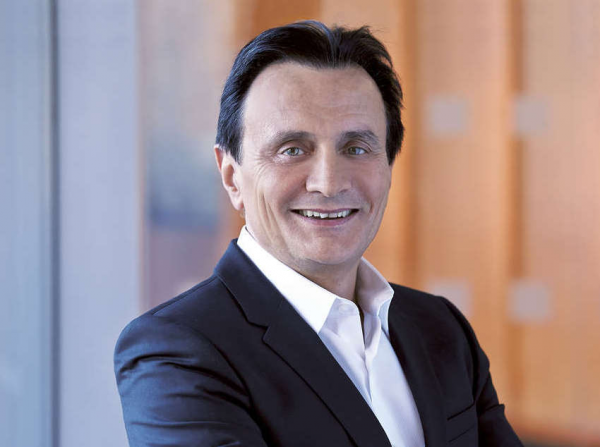 In a special contribution, AstraZeneca CEO Pascal Soriot says Australia should adopt a 'whole-of-government' approach to attract more investment from the global pharmaceutical industry. As a Frenchman running an Anglo–Swedish multinational, top five global biopharmaceutical company, my relationship and love of Australia is not well-known. The cultural melting pot that is my professional and private life has grown through the years and this country keeps drawing me back. I have been coming to Australia since I can remember. I have family who are Australian citizens, live here and I try to visit whenever possible. I feel like I am an Aussie at heart. I’m hardly unique - Australia will welcome around 10 million other visitors this year. Some of these visitors will be my global AstraZeneca leadership team, with all 13 members making the trek down under from around the world for the first time in the company’s history. My hope is they see what has attracted me here over the past decades, and also the drive and ingenuity that has given this country 28 years of non-stop economic growth. Unmatched in the world. During the 1960’s historian Donald Horne penned ‘The Lucky Country’, and whilst derogatory in many ways, the expression stuck in the Australian psyche. Australia is one of the countries in the world with the largest median wealth per adult. Not an easy feat. Luck suggests that Australia’s economic and societal success has happened by chance. Nothing could be further from the truth. Whilst Australia has enjoyed record breaking growth over the last thirty years, so the world economy continues to change and challenge, meaning this is a country that needs to do even better if its success is to continue. Private investment in medical research and development is one area where other countries compete with Australia. It is also the life-blood of any pharmaceutical industry and without a conscious commitment by industry and government to support investment, Australia’s pharmaceutical pipeline will lose its lustre and much of this country’s crucial IP will head offshore. Australia has the potential to lead the world in drug discovery and life science, but we must evolve and enhance what the offer is here. To give you some perspective AstraZeneca invests around a quarter of our sales revenue back into research and development every year, worth around $5.8 billion. Our research partners locally here include the Garvan Medical Research Institute and the Peter MacCallum Research Institute, with projects including The Genomic Cancer Medicine Program, dedicated to using genomics to improve the understanding, early detection, prevention and management of cancer and our collaboration with Melbourne based biotech Starpharma. But Australia needs to become faster and more efficient when it comes to R&D and undertaking clinical trials here – after all it’s the patients that benefit from the work with early access to new treatments. In Australia, AstraZeneca is also one of the few bio-pharma companies that not just market our medicines here, we also manufacture and export them. In an era where most of our competitors have closed their doors on local manufacturing, we have worked hard to maintain and grow our presence here. Today, we are the largest manufacturer in the pharmaceutical industry in Australia, a commitment we have consciously made and continue to invest in. In fact, AstraZeneca’s manufacturing operations in Australia are one of the top five globally for our company in manufacturing. Just last year we invested $100 million to expanding our manufacturing business in Australia. For us, keeping as much of our manufacturing as possible local allows us to utilise the skilled workforce and uncompromising quality control that is afforded by doing so. This is something that cannot be taken for granted. It hasn’t always been easy but we found a pathway forward with Government and our stakeholders, including our employees, and have built a model pharmaceutical manufacturing, research, and marketing business here. To better compete globally for investment dollars, Australia needs to adopt a more whole-of-Government approach. Whilst Australia has a great focus on helping businesses grow here, the words don’t meet results at times, with disjointed execution, where various government departments are at times unable to unite to get projects across the line. With Korea, China and some markets in Europe presenting attractive new R&D offers the landscape for global investment decision making for multinational companies such as AZ is tighter than ever and it is becoming tougher and tougher when making decisions on where to invest our R&D expenditure. And when there are few points of difference, every policy decision and incentive counts. Then there is the cost of doing business in Australia. It is no secret that Australia cannot compete with Beijing or Seoul when it comes to labour costs but, investing in Australia does give us access to an exceptionally skilled workforce with great science. As long as companies can continue to build on this skilled labour force Australia will remain competitive with other, lower cost countries. Finally, for a number of years it was hard to read any local news article without the constant reference to innovation and the commitment to all things ‘innovative’. What industry discovered was inertia when it came to translating innovation through to commercialisation, because the policy settings were focused on early-stage development, with latter stage activity not as well supported or coordinated. Nothing that can’t be addressed, but should be acted on. Whilst the global economy in 2019 will continue to evolve and challenge, Australia’s resilience and steadfast growth shows how the lucky country has become the smart one. And whilst my leadership team meets locally to help write our own company’s next chapter, my belief and wish is that a country that I have watched from near and afar, and love so dearly – becomes the country of everything it can be.